A solid solution for general math, algebra, trigonometry and statistics. **This model is not approved for the Virginia State testing. This model does have the fraction key. 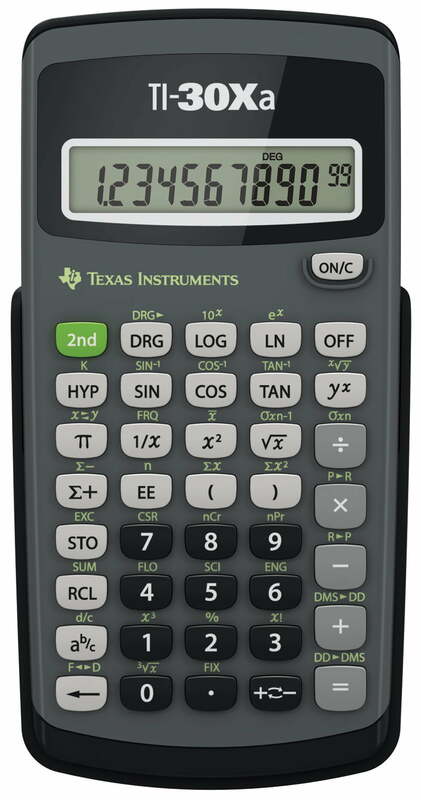 The TI-30Xa scientific calculator is approved for use on 2016 – 2017 Florida Standards Assessments (FSA) Mathematic Assessments. Also approved for SAT*, ACT*, and AP* exams.